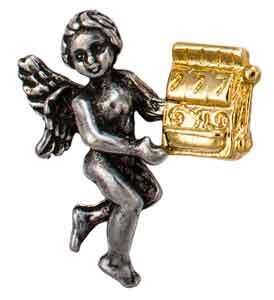 Wearing this Two Toned Slot Machine Angel pin may bring you all the winning luck in the world. All pins come on an explanation backer card. These pewter/gold measure 1 inch tall.